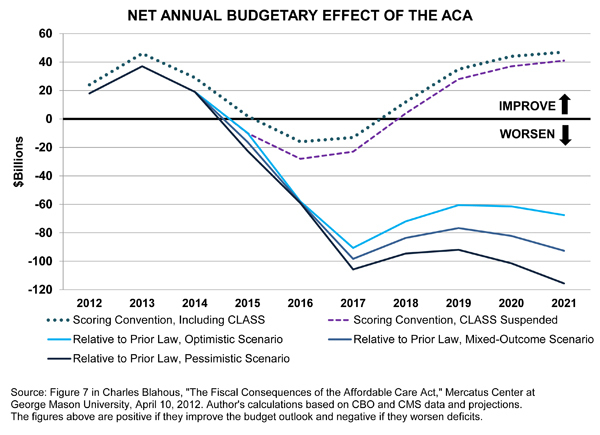 The enactment of the ACA has seriously worsened a federal fiscal outlook that was already untenable over the long term. The widespread perception that the ACA might instead improve the outlook is based largely on a misunderstanding of how prevailing agency scoring conventions contrast with literal law. Many of the cost- savings measures under the ACA were already required in some form under previous law, and thus their combination with a substantial expansion of federal health entitlements unambiguously worsens the nation’s fiscal predicament. 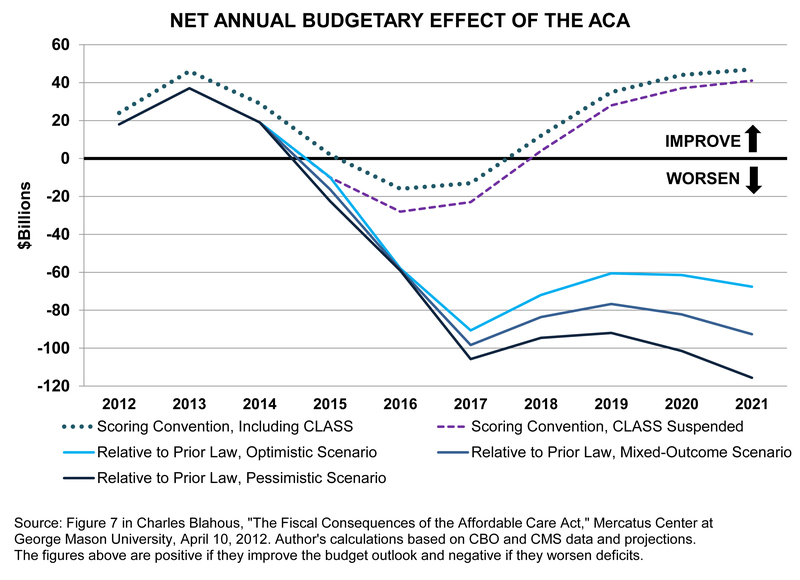 Given that many of the ACA’s other cost-saving provisions are highly susceptible to weakening by future lawmakers, the total fiscal damage wrought by the ACA is likely to be severe indeed in the absence of near-term legislative corrections.